Hopi Animal Hospital has been helping pets in Scottsdale and Phoenix for over 23 years. We know that your pet is part of your family, so our goal at Hopi is to help your pets live longer, happier, and healthier lives. We strive to practice the highest quality medicine with compassion and an emphasis on client education. Our services and facilities are designed to assist in routine preventive care for young, healthy pets; early detection and treatment of disease as your pet ages; preservation of quality of life in your senior pet; and complete medical and surgical care as necessary during his or her lifetime. Our doctors and staff pride themselves in providing progressive and comprehensive medical and surgical care, as well as a commitment to lifelong learning. All of us at Hopi have a love of animals that translates to exceptional care and compassion. 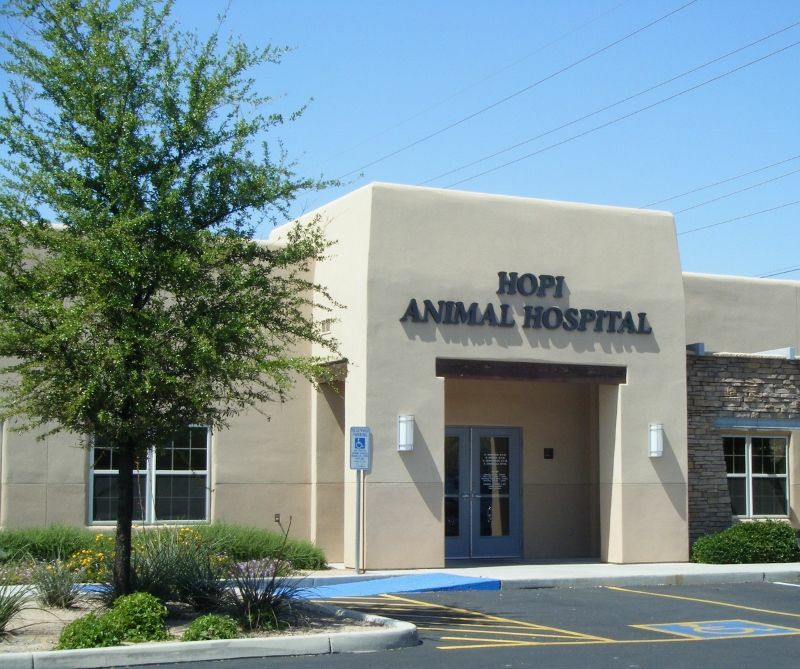 Hopi Animal Hospital is one of Arizona's premier privately owned small animal hospitals. Our 10,000 square foot facility provides the highest quality medical, surgical, dental, and wellness services along with an on-site boarding and daycare resort. Equipped with today's latest technology, Hopi Animal Hospital offers services including dentistry, soft tissue and orthopedic surgery, digital radiography, ultrasonography, telemedicine as well as boarding and daycare. We are proud to be your one stop source for all of your pet's healthcare needs.